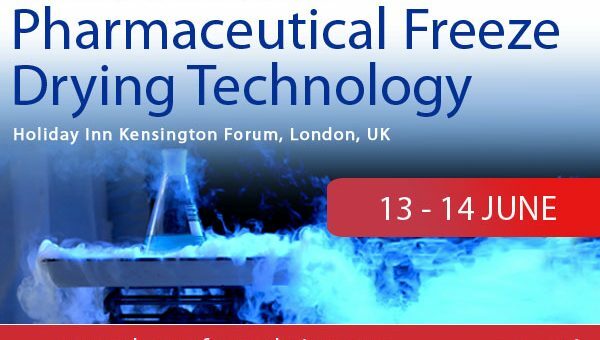 This is a reminder to let you know that the 6th annual conference; Pharmaceutical Freeze Drying Technology will be taking place in just 3 weeks! Have you secured your place to attend? If not, take advantage of the manager’s special rate, plus the early-bird discount online. The highly anticipated 3-day conference will gather the growing freeze drying community, filled with industry thought leaders and drug development experts involved in: formulation technology, QbD, manufacturing, PAT, R&D and pharmaceutical process development. Hear from a global panel of over 16 speakers to strengthen knowledge in key topics such as PAT and QbD, whilst staying at the forefront of new pharmaceutical technologies to adapt to growing drug production demands. – NIBSC – MHRA, and gain exposure to regulatory guidelines, and explore dynamic and existing technologies to optimise freeze drying cycles. – GSK, to explore examples of stability evaluation using water activity measurement and mathematical modelling, to evaluate the stability of freeze-dried vaccines. – Boehringer-Ingelheim to understand the core essentials of biologics in the freeze drying process. – Janssen, who will be discussing QbD strategies including the timing/conditions, and typical sources of variation for lyophilization and spray drying processes. – University of Kentucky, to examine the errors and challenges associated with predicted stability value, and the tools used. Workshops hosted by: NIBSC – MHRA | University of Central Lancaster | Biopharma Process Systems. More details available online.